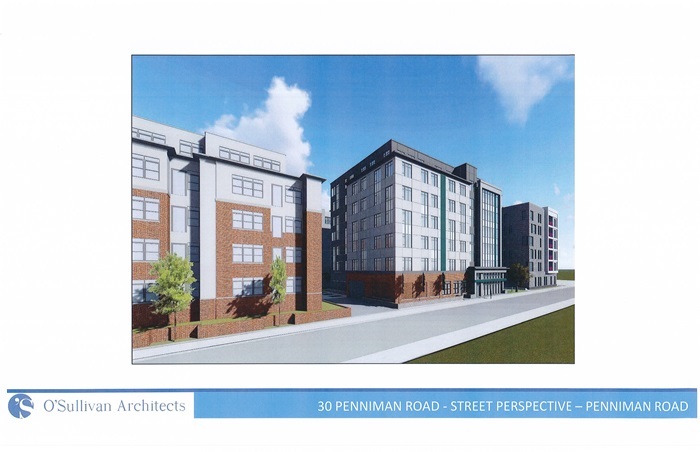 On September 25th the Board of Appeals approved developer’s plans created by O’Sullivan Architects to replace a condemned building at 30 Penniman Road in Allston with a seven-story, 46-unit condominium building – next to the recently completed 36-unit condominium building Penniman on the Park at 20 Penniman Road which was also designed by O’Sullivan Architects. 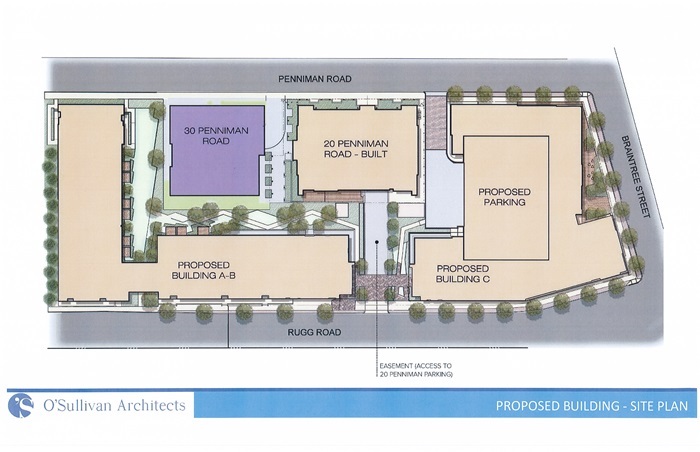 Jumbo Capital Management, LLC is the developer for both 30 Penniman Road and the recently completed Penniman on the Park at 20 Penniman Road. 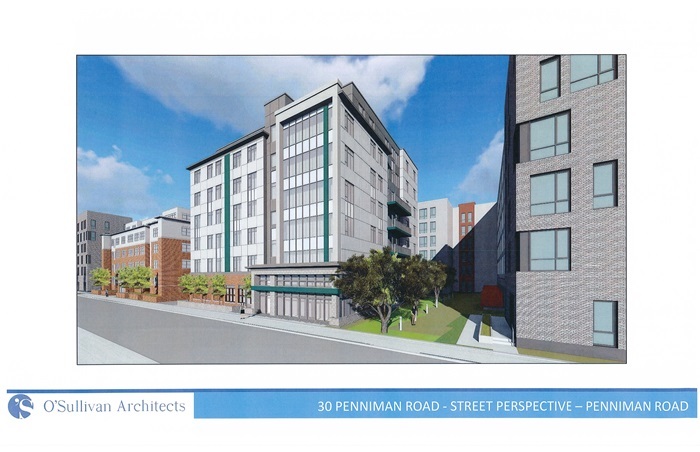 The BPDA approved the project last month – 30 Penniman Road will bring affordable units to Allston, revitalize Penniman Park. 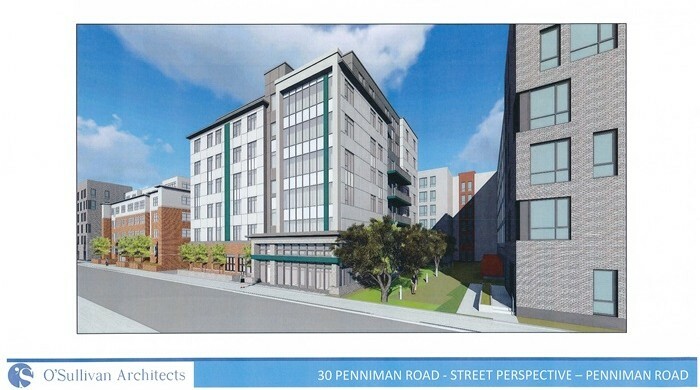 The proposal for 30 Penniman Road in Allston includes a new seven-story, 46-unit residential condominium building, including two artist live/work units. The building will have 40 parking spaces, consisting of 38 mechanical garage parking spaces and two accessible parking spaces. As proposed, the 46 residential home-ownership units will consist of 40 market-rate units and six-Inclusionary Development Policy (IDP) units. 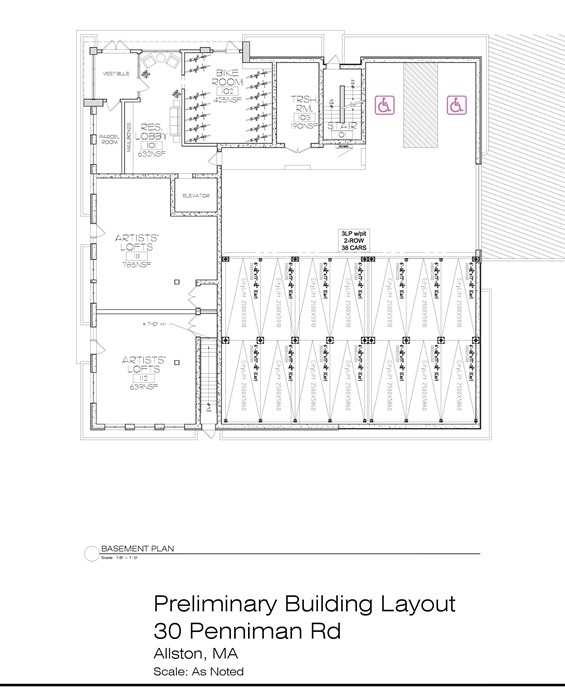 There will be a mix of unit-types, with one studio unit, one-bedroom units, two-bedroom units, three-bedroom units, and two loft style units with direct access from the street. The approved new residential building site is currently surrounded by low-lying industrial buildings slated for demolition to make way for a new three-building complex being developed by The Michaels Organization and will have more than 260 units. Where did the first half of 2014 go?